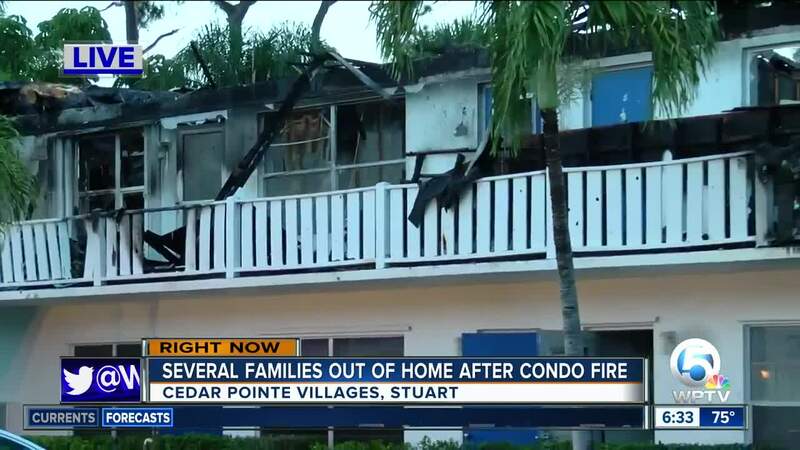 Firefighters extinguished a large condominium fire at Cedar Point Villages on East Ocean Boulevard in Stuart on Monday night that displaced several people. 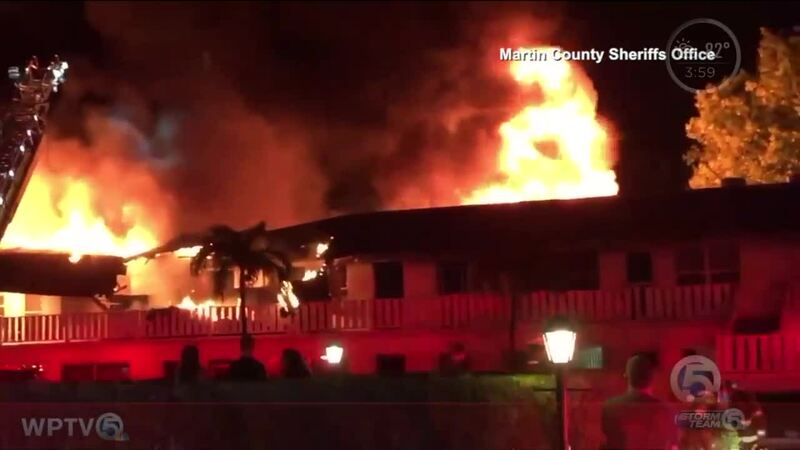 The Martin County Sheriff's Office says one section of the complex was completely engulfed in flames. Cedar Point Villages is a condominium community for people ages 55 and older. 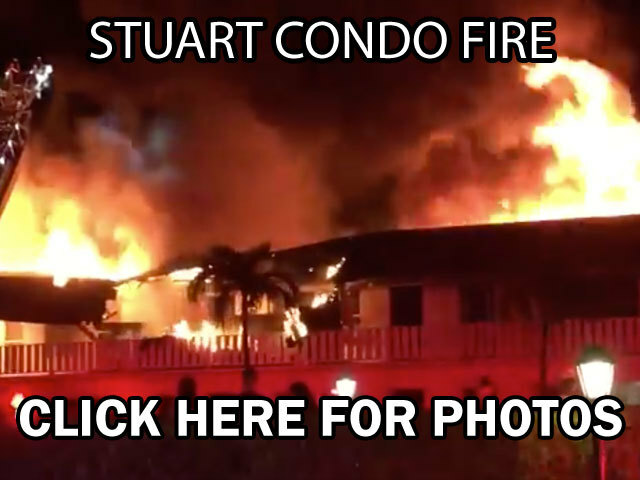 Martin County Sheriff William Snyder said Monday night that at least 10 units are likely to be a total loss. "We interviewed the gentleman who lived in the corner apartment where it started. 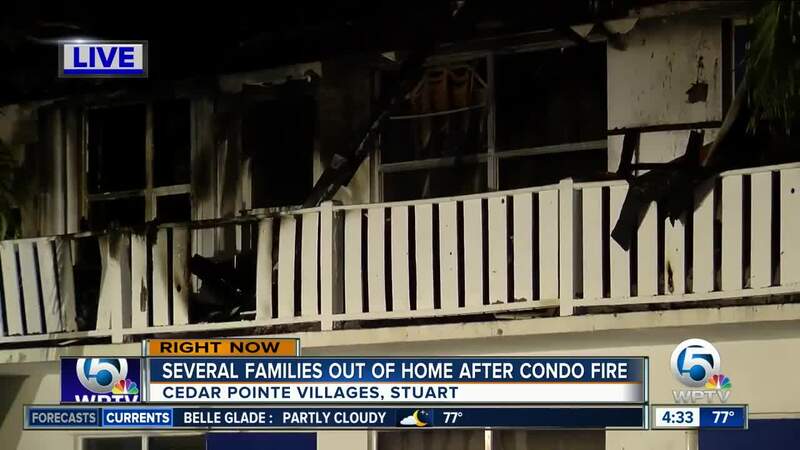 His initial statement is that he was smoking a cigarette, he dropped it, the next thing he knew there was smoke in his apartment. 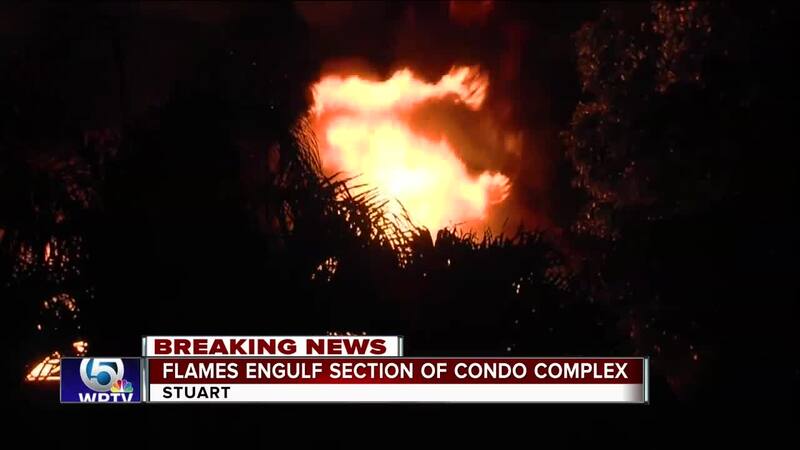 A neighbor saw the smoke and the flames and called 911," Snyder said. 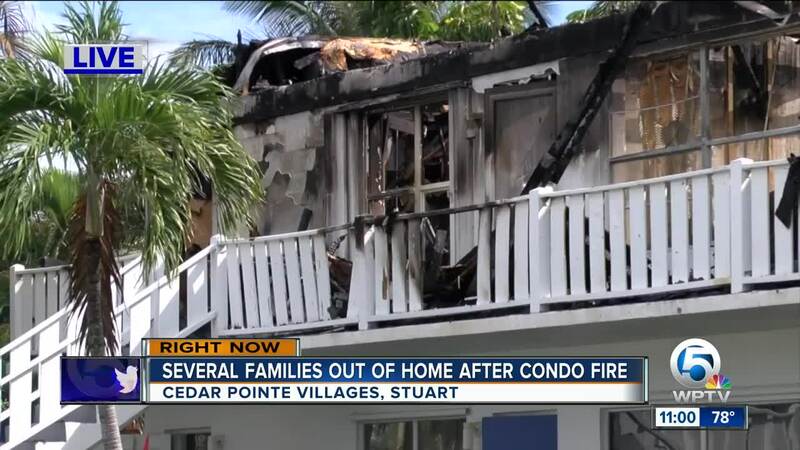 Two people were taken to the hospital for smoke inhalation and later released. One cat died in the fire. “I just sat down to watch a movie, and I heard yelling. 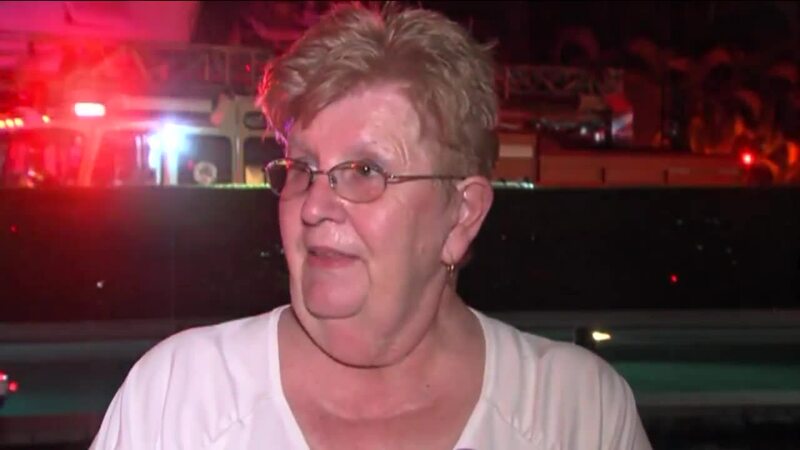 So, I went out and saw smoke coming out of the end building or unit, and it just kind of traveled all the way across,” said resident Nancy Shultz. Crews battled the flames and checked for hot spots for more than three hours. 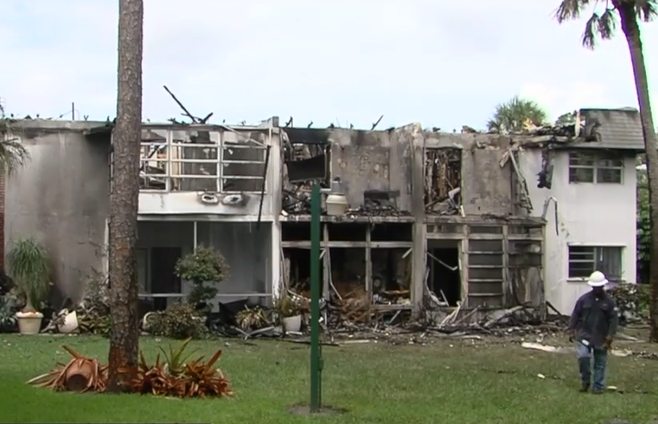 Investigators are looking into what caused the fire, but a resident told investigators he dropped a cigarette inside his apartment.